Teamwork, flat line management and a culture of community and camaraderie are just some of the things that set us apart as a family law firm. With more than thirty years’ experience behind us, we practice in all areas of family law, including divorce and separation, property settlements, children’s issues and more. We also work with you in protecting your assets through pre-nuptial agreements and binding financial agreements for cohabitation. Our vast experience dealing in family law has taught us that divorce and separation can be a highly emotional time, especially when children are involved and that’s why we aim to minimise the pain and help you move through to the next phase in your life. Working as a team in a cost and time effective manner is one of the ways we do this. Our firm is unique, in that we have a flat line management approach. Essentially, this means that all our lawyers and staff have a say in how the firm is run and we believe this approach reflects in all our team members who are responsible, effective and team players. Our vision is to be recognised as the most respected family law practice in Australia and we strive for excellence in all areas of our firm, our people, processes and development. In achieving our goals, we recognise that our staff play a huge role in this. That’s why we invest in our staff in a myriad of ways. As we give to our staff, we see them give back to us as ethical, resourceful and intelligent individuals. Recruiting, retaining and rewarding the best people out there is one way we go about this; fairly renumerating each team member is another. 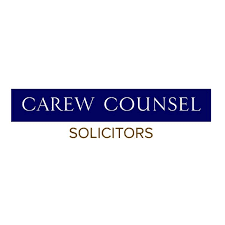 At Carew Counsel, we value the quality of leadership and are proud to encourage and develop our staff in this area. Self-improvement and education are some other areas we like to encourage, while health and fitness is something we place a high emphasis on. Creating a positive culture is something we are passionate about, and it’s important to us that we create and foster a culture of community and camaraderie.